This is my little one. 🙂 We took a trip to the corn maze and pumpkin patch. 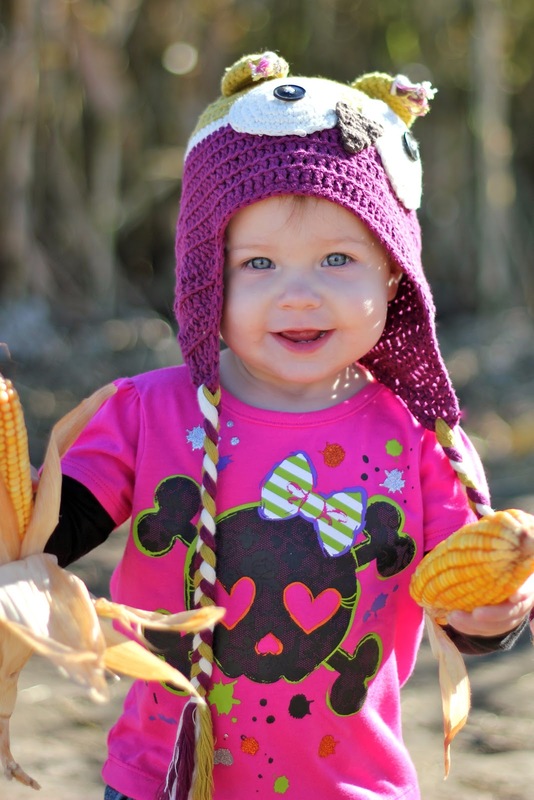 She looked adorable in her Taylor Joelle Piccadilly Plum Owl Hat. Please check out these other great Wordless Wednesday posts and please link up your own! Love the hat! Thanks so much for stopping by today and linking up! What a cutie pie!!! Happy W.W.
My litle boy has a blue and green hat like this. He loves it! 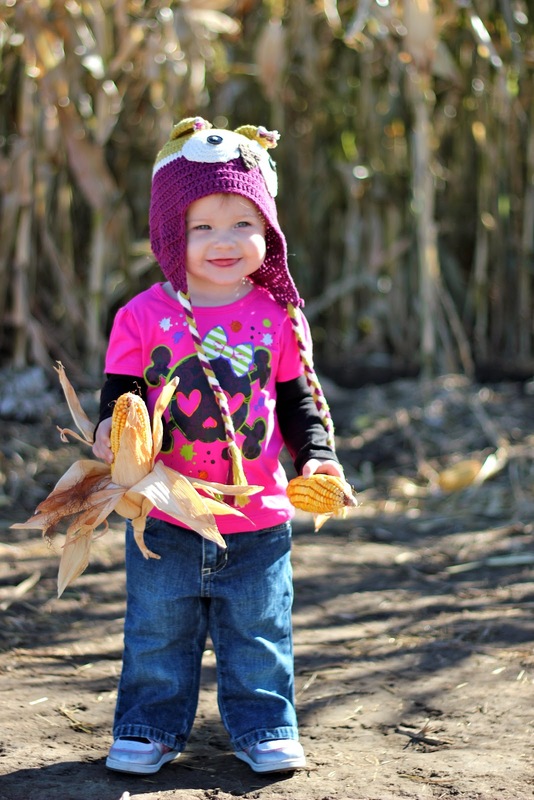 Corn mazes are so much fun! I still love those owl hats!! She looks adorable in it. Adorable – you always take such great photos…Thanks for linking up, hope to see you again next week. Gorgeous photos! Love the teeny tiny pumpkin. awww.. she looks so adorable!!! Love the hat.. great owl design. Such a beautiful little girl!! Lovely smile, super cute hat! Oh my gosh, could she be any cuter?? Happy WW. That hat is beyond cute. It is a sweet hat!